We all know about Black Friday. In fact, some people line up to catch those coveted holiday sales Thanksgiving evening. It’s a retail frenzy. But fairly new to the scene is Small Business Saturday®, which bodes well for both Lake Tahoe business owners and visitors alike. Instead of long lines at corporate retailers on Black Friday, Saturday, November 30, is dedicated to the boutiques, eateries and local businesses that deserve your patronage. So go ahead, sleep in on Friday. Come check out the plethora of sales going on around North Lake Tahoe on Saturday! We recommend perusing the Village at Squaw, taking a stroll through downtown Tahoe City, and Commercial Row in Historic Downtown Truckee. To sweeten the pot, Tahoe City has a SHOP LOCAL holiday contest running from November 29 thru January 10, where you receive one sticker for every $25 spent at participating Tahoe City retailers. Four stickers allows your entry into a raffle prize drawing! The slopes will be packed before you know it, and there’s nothing quite like the energy of bustling holidays at Squaw Valley … especially if there’s fresh snow. Regardless if it snows or not, adults and kids alike won’t be short on the jolly fun! Whether you prefer kicking back with hot cocoa by the Village fire pits and enjoying complimentary s’mores, bringing your little one to meet Buddy the Bear while ice-skating, or taking a snowshoe tour, the holidays at Lake Tahoe are the best time for Kodak winter moments. Click on the following resorts for further details. 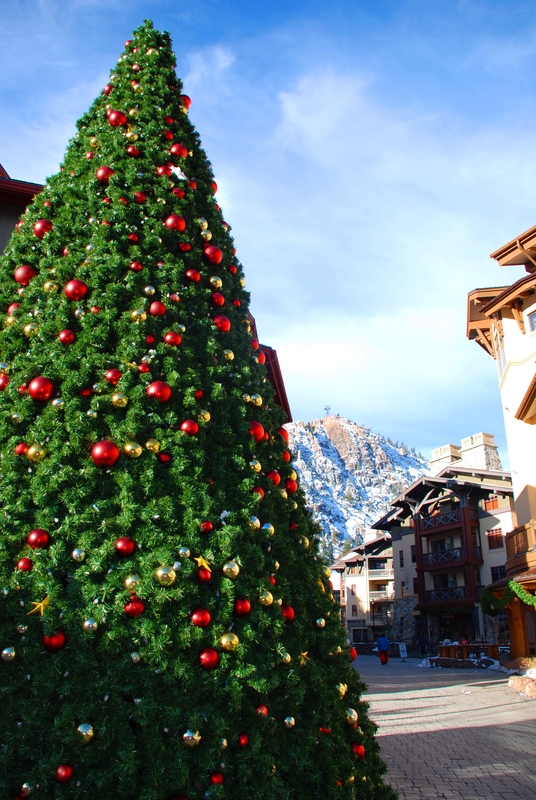 What’s your favorite holiday activity at Squaw Valley? Though it’s still technically fall, when snow falls at Lake Tahoe, winter shoves out autumn right quick! 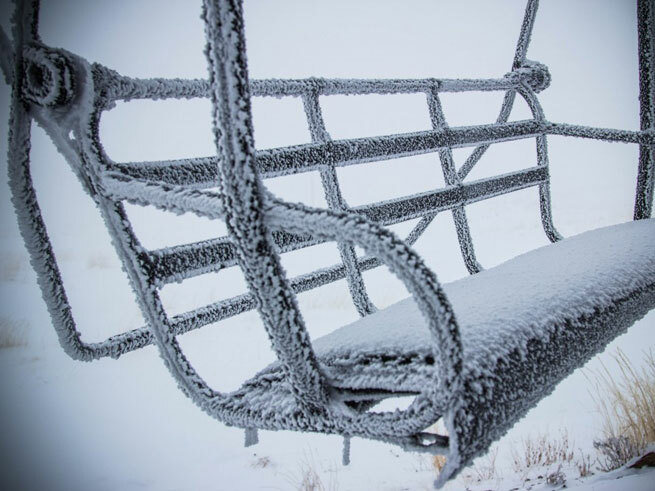 We received 10 inches of new snow in the past 48 hours, and what better time with resort openings around the corner! If you’re wondering where you can “zip up and strap in” around the Lake Tahoe area, here’s the run-down of Opening Day! Please keep in mind resort openings are weather permitting, and may change in the coming week(s). We’ll keep you updated as openings are announced! Where did you purchase your season pass? Want to ski or snowboard Squaw Valley, Alpine Meadows and Sierra-at-Tahoe this winter? Prices for the Tahoe Super Pass go up $150 after December 1, so be sure to save now. Click HERE to purchase! Thanksgiving is right around the corner, and like many Americans you may have your menu already dialed. A season of giving, a time for family and friends to gather with gratitude, and a time when the food and wine pairings could be endless! 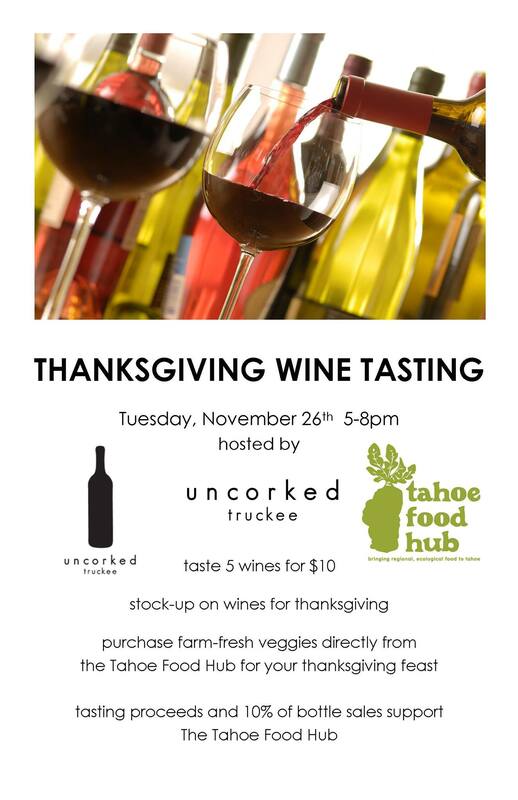 How about killing three birds with one stone at Uncorked‘s Thanksgiving Wine Tasting, where you can stock up on reds and whites, purchase farm-fresh produce for your holiday feast, and give to a local organization, Tahoe Food Hub, through your purchases. 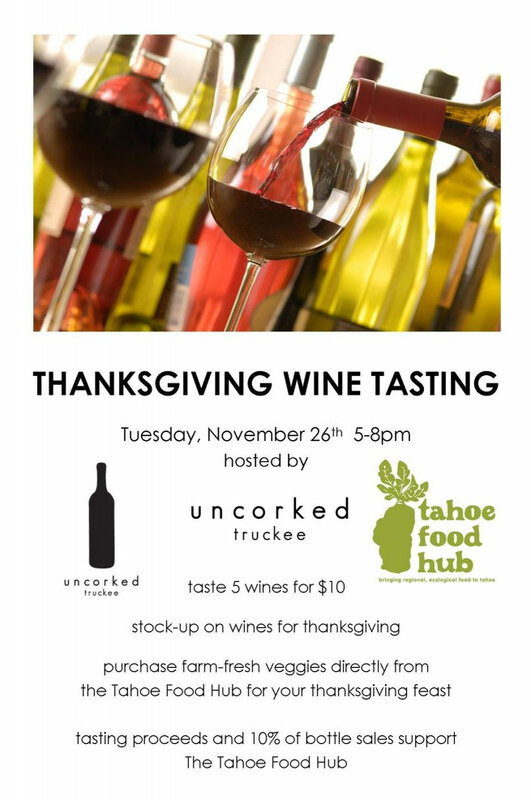 Tahoe Food Hub is a non-profit organization building a regional food system in North Lake Tahoe by taking advantage of its close proximity to year-round food production. A great way to support local, sustainable foods! Come on down, sip something uncorked, and select your produce! What’s your favorite Thanksgiving veggie dish? 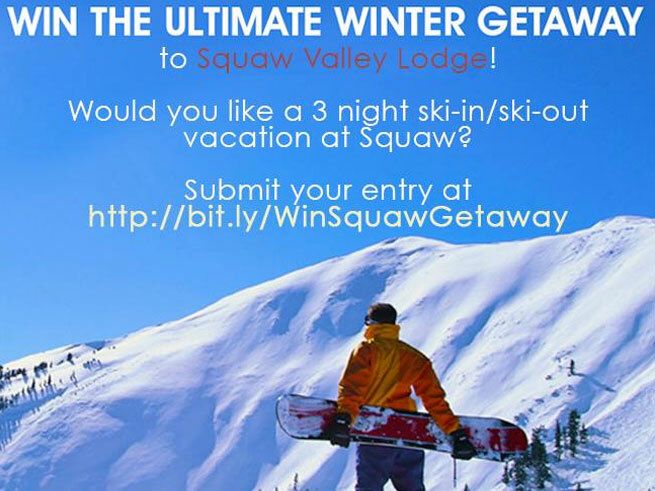 Squaw Valley Lodge Winter Sweepstakes 2013! It’s that time of year again! We launched our Winter Sweepstakes on October 22! Contestants have until November 19, 2013 to enter to win a 3-Night ski-in/ski-out getaway to Squaw Valley on us! Imagine waking up to fresh powder (now that’s a lucky winner!) at Squaw Valley, and topping off your two days on the slopes with a one hour massage, and mini shopping spree at Granite Peak Ski & Mountain Center? If that sounds like a bit of winter wonderland to you, then head over to our Facebook page and enter to win! How would you spend your free ski getaway to Squaw Valley? 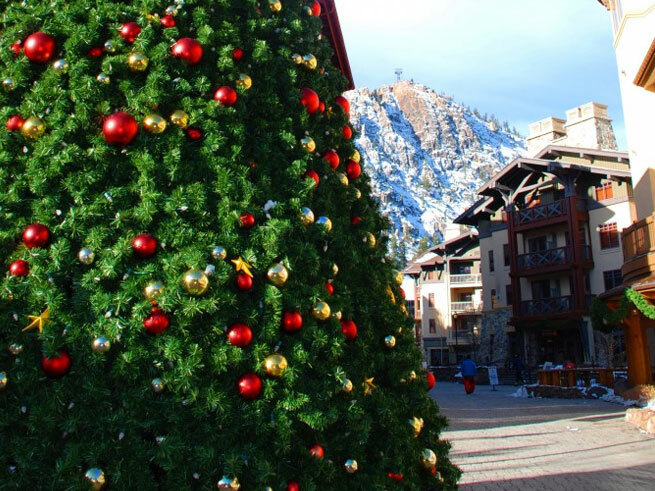 Remember, there’s so much happening in the Village at Squaw! Check out the calendar of events here.